With the rich experience that the Digital Dreams Systems team has had in the web domain, we are in the happy position to promise you the most desirable, innovative, trustworthy web application solutions. We offer professional web site design and customer service at affordable price for companies and individuals. We clearly understand the requirement of our customers and design a website that satisfies the need of our customer. Web design plays a vital role in grabbing the attention of potential customers. In order to attract the online customers you need a professionally designed and visually striking website. By choosing us, you will get all in one web solutions. In simple words, DDS is responsible for providing complete responsive web Designing Company along with other services, including content writing and internet marketing. Developing a useful and exceptional website has never been a tiring task for us as we have the most talented and loyal developers along with us. We work round the clock to meet the demands of our potential customers. We build the architecture & UI prototype of the complete application, which gives our project stakeholders the feel of the entire app without us even writing a single piece of code. This helps us gather detailed requirements and expectations, which we use to develop the product further. Our technical capabilities in developing Web 2.0 and Enterprise 2.0 applications include LAMP (Linux Apache MySQL PHP), ASP.NET / SQL Server, Bootstrap Framework for Front-end Programming, Amazon AWS and HTML5 / CSS3 / jQuery. We follow MVC pattern on all development projects to ensure extensibility, robustness and modularity of our code. CakePHP and CodeIgniter are the most commonly used MVC frameworks used by our web app developers. 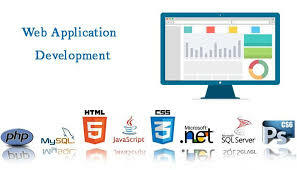 Our experience in Web Application Development spans multiple verticals & horizontals. We have worked on simple apps to mission critical applications. Precisely, our web app development services are targeted towards delivering innovative, human-centric, trustworthy, goal-oriented web app solutions to businesses worldwide. Whether it’s for within-the-organization use (intranet) or to provide extensive purpose-built tools to the end users.